The Internet is all things to all people. Well, almost. It hasn’t quite got there yet in Education, for instance. But it will. It must. I want to look – lightheartedly, but with earnest intent – at why we in Education need to take this Internet Age a whole lot more seriously than we have done so far. 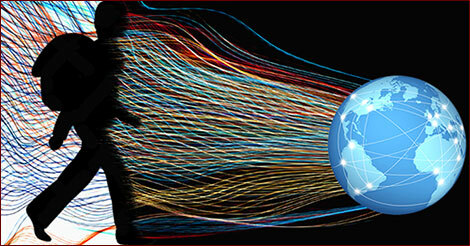 Our world is increasingly connected, and for large swathes of humanity, the global mesh of interconnected networks, digital devices and online services is now the platform upon which much of our collective social, economic and political activity takes place. We are connected to each other by this vast and ever-expanding matrix that teems and throbs with transactions, interactions, communications, determinations and altercations that connect us, help us, serve us, govern us, watch us, inform us, cajole us, entertain us, protect us, endanger us, deceive us, and expose us. Above all else, the Internet is the greatest disruptor in the history of human society. It is the ultimate Disruption Machine. So many important areas of human activity have already been shaken to their cores in myriad ways, and the disruptive effects are reaching into more and more areas of our lives. That many have dubbed this a revolution is understandable (and certainly arguable) and there can be no doubt that the level of disruption in some spheres of activity has already caused colossal and lasting shifts in the way we do so many things. In some spheres, disruption takes the form of disintermediation. We can see this already in the music industry, in publishing, in travel and tourism, across many retail sectors, in real estate, in the computing and software industries, and elsewhere. In other spheres, the technological developments themselves (including but not restricted to Internet-related developments) cause disruption when new affordances – the ability to do things using technology that were not previously possible or feasible – introduce, by definition, completely new ways of doing things. We can see this in the antithetical spheres of curing people and killing people: technology is changing healthcare irrevocably, especially in the developed world, but conversely also in the way that war can now be waged. There are some who would argue that disintermediation will inevitably affect education. I am less sure of this than some. Most of the spheres of activity mentioned above that are already affected by a process of disintermediation involve transactional exchanges of one kind or another, transactions that in the past were managed – mediated – by middlemen. Whether the teacher can be seen in that light is a moot point. As I have argued before, when education is viewed merely as the process of transferring information from the teacher, or from media controlled by the teacher, to the heads of students, then it is easy to see why some believe that disintermediation is an inevitability in education. I see it differently. …the teacher has always been an additive component in learning. Whether the teacher brought expertise, or experience, or greater knowledge and insight, or even wisdom, into the classroom, the apparently simple process of transferring information from teacher to student would always be augmented and intensified, to some degree, by the very nature of the interaction between the two key actors in that process. In other words, the relationship between teacher and student is far from a simple transactional one. So, while I am sure that some aspects of disintermediation will occur in education, it will not happen in the same way that it has affected so many other spheres of human activity, and especially those more obviously transactional activities. Each of these machines (and I know there are many more that could be identified) has its own distinct effect on the way that people are able to learn, on the nature of what it means to teach, on the central relationships in education, on the continuing relevance of the formal institutions of education, and on so many other aspects of education generally. They are, to use that over-used phrase, game-changers for education. Each of them also overlaps with some or all of the others. I can discern a hierarchical relationship between some of them. 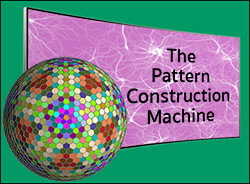 For instance, the Pattern-Constructing Machine might be viewed as a sub-component of the Knowledge Machine – but I will leave such considerations aside for the moment. The critical point for Education is that it has to begin to take these massively disruptive aspects of the digital and networking technologies very seriously indeed if it is truly to serve the needs of our children and young people into the future. Taking these Disruption Machines seriously might also avoid the formal systems and institutions of education slipping into eventual irrelevance (although I reserve judgment on whether that would necessarily be a bad thing were it to occur). Whether traditional educators (those who believe that students need to be taught in order to learn effectively) like it or not, the Internet has already changed teaching and learning forever. The instant availability of information from the vast repositories, from search engines and from the deep swirling eddies of data that criss-cross the ether, has shifted the fundamental nature of the relationship between the teacher and the learner, a relationship that stayed much the same for thousands of years but which has now changed irrevocably, even if few are as yet willing to recognize the change. In an age when information was scarce, the teacher held the key to the kingdom of knowledge for students, giving the teacher an almost unassailable position of authority over the learner. That key has slipped from the fingers of the teacher. It has been replicated ad infinitum and is now in the hands of everyone with the necessary connection to the Internet, teacher and learner alike. Today, the greatest respect a teacher can pay a student is to say, we are all learners now, let’s learn together. Any teachers, or any schools or school systems, that refuse to make use of the Knowledge Machine that is the Internet are quite simply no longer serving the needs and interests of their students. Equally, however, making use of the power of the Web, or social media, and of so many other Internet components without also recognizing the fundamental shift that has taken place in the teacher-learner relationship is to fly in the face of today’s reality. 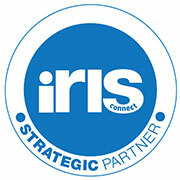 People, data, processes and things are increasingly being connected in ‘intelligent’ ways across the Internet. The so-called Internet of Things is rapidly adding a new and dynamic layer of capability that is in the early stages of exploitation across a broad sweep of areas of human activity. Few if any have yet worked out what its effect will be in education, although I have commented on this lack of insight in an earlier post and offered my own views. One thing is clear, as all of these new connections are made, and as the network extends beyond just the people, the stores and flows of data, and the interactions that make up most of the Internet at the moment, many new possibilities will begin to become apparent, some of them exciting, some of them worrying. This is the world that our young people will spend their lives in, and it would be both perverse and irresponsible of any education system, any educator indeed, to ignore in their teaching these realities of life for their students (and for themselves, of course – we all live in the same world, even if some prefer to try to pretend otherwise). …permit us as human beings to yield or surrender some aspects of our attention, the need for our attentiveness, to the smart machines and the smart network in (we hope) a controlled way, and in a way that benefits us and doesn’t harm us. We can only yield our attention to the machine in an intelligent way if we are able, at some level, to understand the potential consequences of doing so. 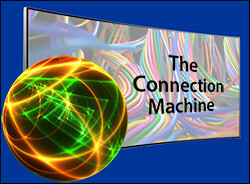 In this hyper-connected world, a world that is not just coming but is in some ways already here (just not evenly distributed as someone once noted) our young people need their schools and colleges and universities to accept at least some responsibility in ensuring they are able to gain that understanding (each of us as individuals also have to take responsibility for this ourselves – the schools cannot do it all, by any means). This is a tall order for a system populated by professionals who do not themselves have that understanding, or even a wish to understand, in the main. The sheer range of digital applications and services now available across the Web and the wider Internet to enable collaborative working is mind-boggling. The innumerable possibilities for individuals, teams, companies, social groups – any formal or informal grouping of people in fact – to engage in almost any kind of joint creativity means that the very notion of a school, for instance, that is wholly constrained by its physical walls is now just laughable. And yet so many schools across the world continue blissfully and obdurately trying to deliver (the word most of them would use) an education to their students while pretending that the enormously connected, massively collaborative world can be kept at bay. Our ‘classroom’ is now the whole world, and the global network is now the platform for pretty much every possible human activity, whether social or political or economic, and that includes the educational, the pedagogical. Even those schools (or school systems) that recognize the power of collaboration, but that choose to restrict their students to collaboration within the school or within the district or within the region or even within their own country are failing to offer learners the powerful learnings that can occur across borders, across cultures and across ideologies. Let your students truly collaborate. Let them talk to the world. Let them work and learn and create with their peers all over the globe. The walls of the school are now an illusion and need to be demolished in the minds and the practices of educators everywhere. 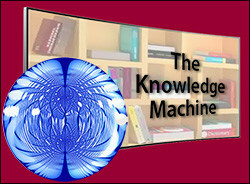 Whether as an educator you lean towards a constructivist model or a connectivist model for pedagogical justification (or bits of both, as I do), you will understand the importance of understanding data (all data, whether digital or experienced directly by the senses from our physical and social environment) as a primary step towards creating or acquiring knowledge. For the constructivist, learning is an internal process of sensing, and of making sense of, the world around us, and of constructing our own knowledge from all that we perceive and experience. For the connectivist, learning is a process of making connections between entities in the world around us, discerning and recognizing emergent patterns in the network of perceptible connections and interactions that we inhabit or touch. The Internet offers us not only Big Data – massive banks and flows of information – but also an ever-expanding set of tools to help us try to make sense of the world in which we live, and to enable us to draw out patterns and therefore give us the means to learn. We all need to acquire the skills and the intellectual tools to enable us to determine, from the deluge of data going past us, what is good information and what is not, what makes sense and what does not, what is relevant and what is irrelevant. The so-called Google Generation are no better at this than any previous generation – we all need guidance and wisdom in the process of building these tools in our minds. The Internet, as we have seen, is the ultimate repository of information, and everybody today needs to appreciate and understand the increasing complexity of the world in which we live, and to learn how to make those connections and discern the patterns, or to construct knowledge from the waterfalls of data crashing over us. As we have already seen, the network – the global network of networks – is the locus of more and more of the social, political and economic activity that we undertake on a day to day basis. In the pre-digital world, managing our privacy and our exposure to the world, and therefore our reputation in the widest sense of the word, was a much simpler task than it is today. If we add to that the apparent generational gap (although one that it is dangerous to generalise about) that is purported to be widening between the older generations who continue to feel the need to retain a certain level of privacy against the younger generations who seem to eschew much of that need for privacy and who choose to live their lives in the open, transparently, then it is clear that we are walking on shifting sands in this area. In particular, the developing use of social media is rapidly and appreciably changing the dynamics of reputation management, and no amount of doomsaying or warnings of future troubles that could be caused by incautious self-exposure is likely to slow this process down. This brave new world of openness is here to stay, for good or ill, and our education system should be doing what it is supposedly designed to do: educate our young people to actively manage their online presence. In the social sphere, as well as in the spheres of learning and work, the Internet is throwing up tools that go very far beyond the staples of Facebook and Twitter. An education system that is managed and delivered by people who do not themselves fully understand (or want) this environment of candour and frankness is unlikely to be able to serve the needs of those it is supposed to educate. As with so many aspects of the networked world, educators today, I feel, have responsibility to take at least an interest, and preferably a dispassionate interest, in the Reputation Machine if they are to serve the needs of their students effectively. Human beings have an ingrained fondness for stories, and storytelling has been a powerful tool for learning since the dawn of history. From before the invention of writing and of the alphabet, stories (and songs) were the primary means by which knowledge was passed from one generation to the next. Written language added to the richness of the stories we could tell, and the invention of the printing press using movable type enabled the stories we told to be broadcast at speed far and wide, and relatively cheaply. It should be plain that the definition of story here is a very wide one indeed. The Internet has brought a whole different dimension yet again to the power of the story, and not just in the telling but also in the creation of stories. Storytelling has long been a social activity, from those heard around the campfire to those broadcast on radio, television and the movies. But until the Internet, story-making , tended (though with some notable exceptions) to be the preserve of the individual author. Making stories today can still be what it has always been, but now, with the maturing of the concept of transmedia, the story can be created collaboratively and across multiple media (and by no means exclusively digital media). While transmedia arose in the world of entertainment, it is Education that has put it to truly effective use, and it is fast becoming a potent tool for teaching and learning. In a world of rapidly converging media, many of the age-old techniques of storytelling, alongside some very new ones, are being used to immerse learners in stories across multiple platforms. The transmedia story need no longer be linear in its telling, and indeed there can be multiple starting points to a story, with the ‘listener’ deciding the starting point for themselves from the variety on offer. 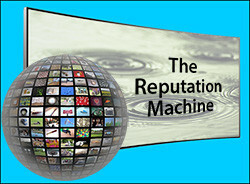 Critically, however, and most powerful in the context of education, the techniques of transmedia storytelling can be put in the hands of learners themselves, as individuals or as groups, including distributed groups of learners, to create their own transmedia narratives. By bringing together the exciting capabilities offered by the Internet and by all manner of media, digital and otherwise, with our true-to-life experiences, teachers and students around the world are already immersing themselves in multi-platform worlds of the imagination. The learners using transmedia techniques are able to personalize their learning by taking control and directing their own learning, and not being subject to teacher-constructed ‘personalization’. 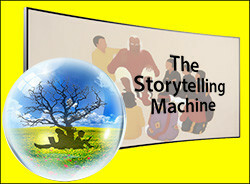 As with each of the other ‘disruption machines’ the Storytelling Machine is an aspect of the digital world that is able to include non-digital elements, and is yet another machine that educators today should have in their armouries. So, by using the less-than-serious metaphors of the Disruption Machines, I want to demonstrate that Education today is very far behind many other critical areas of human activity in realizing and enabling the incredible power of the Internet and all its constituent parts in the interests of those that it serves: in this case, learners. Students worldwide, of all ages and stages, simply live in this world every day as a matter of course. They are native to the digital world. That however does not imbue them with preternatural knowledge of that world, no matter what those who prattle about digital natives might have us believe. The fact is that young people have only ever known the digital world and therefore they have little or no conception of a world without the computer or the network or the phone or the tablet or social media, or whatever. 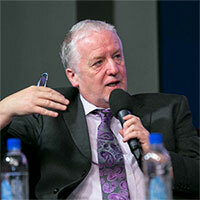 The formal systems and institutions of education, and the educators that toil within them, risk eventual irrelevancy if they do not recognise this and take responsibility for the notion that there is still, and should always be, a place in the world for the experience, the wisdom, and the pedagogical knowledge of the committed educator. Young people, despite their native status in the digital world, can always benefit from the teacher who knows that what they teach is not necessarily (or even very much at all) what is learned by the student. So in today’s world of the Great Big Disruption Machine and all its component parts, the good teacher need to provide more than simply the age-old didactic pedagogy (as all good teachers have always known anyway). Educators need to offer wisdom and experience, to ask the pointed question at the right point, to work with young people to help them get the best out of their own efforts, to guide without chivvying, to advise, to counsel, to cajole, to persuade, and, yes, to impart knowledge in the traditional manner where required (though much less often than is the case still). But to be able to do this effectively in the digital age, every educator needs to come to know for themselves the world that their students now inhabit, because without that knowledge, without that dispassionate understanding of the realities of life with the Internet and all that it entails, they can do little to truly serve the interests of their students.